Rudi's Gluten-Free Bakery Happy Camper Contest and Let's Go Camping Giveaway! I’ve shared before how much I enjoy Rudi’s Gluten-Free Bakery gluten-free products and appreciate all they do for the gluten-free community. 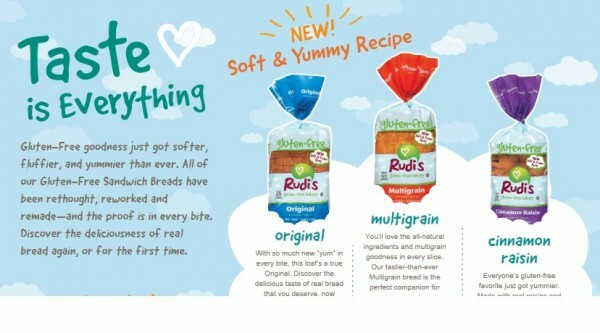 So I was very pleased and very excited when Rudi’s gave me more reasons to be a fan with their “Happy Camper” contest being held this month in honor of National Celiac Awareness Month. Rudi’s will award 10 kids (ages 8 – 17) a trip to gluten-free summer camp. This contest is truly a great opportunity for gluten-free kids. The entry requirements are pretty simple. They include liking Rudi’s Gluten Free Bakery Facebook page and your child submitting no more than a 200-page essay telling Rudi’s what going to a gluten-free summer camp would mean to him/her. Your child gets to select his/her top three camp choices from a provided list, but if they already know of a camp they would like to attend that is not included they can request that camp as one of their choices. Each of the 10 winners will be reimbursed up to $1,500 for camping expenses (that includes travel to and from the camp). The 10 winners will be selected by Rudi’s Gluten-Free Bakery and announced on their Facebook page on June 10, 2013, giving parents and campers plenty of time to get ready for their gluten-free camp adventure. How very exciting! Read more and enter here. Best of luck to all who enter! I’d really like at least one of my gfe readers’ kids to win! Please pass on to other gluten-free families, too. 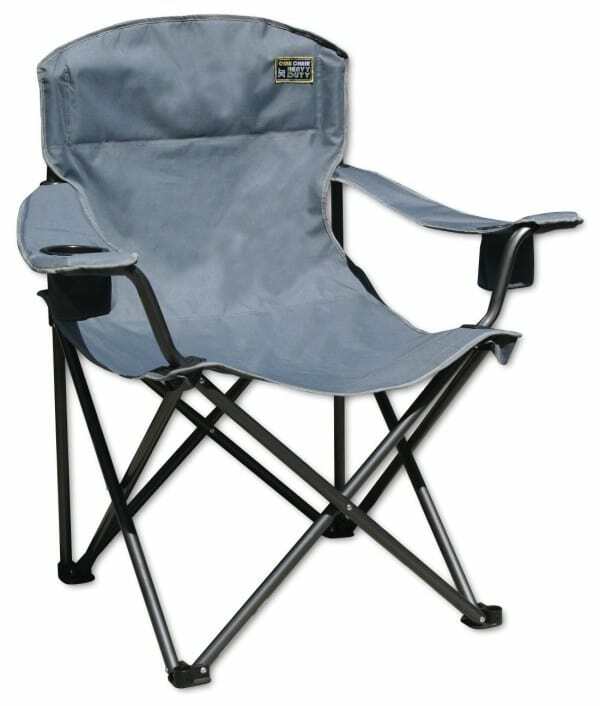 A Heavy Duty Camping Chair! 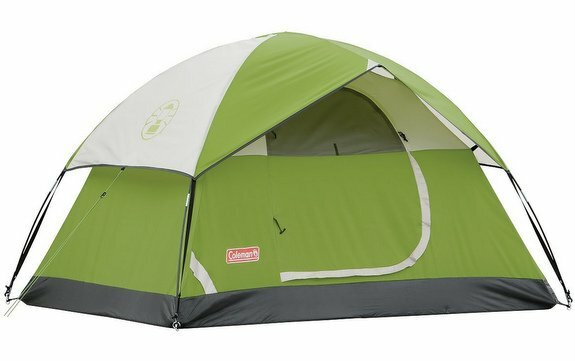 A Coleman Sundome Two-Person Tent! What are you going to eat when you go camping? You’ll also win three FREE product coupons from Rudi’s. Toasting some of their Soft & Fluffy Sandwich Bread over the campfire would make any of your outdoor meals more tasty. Thanks to all of you who took the time to enter this giveaway! Look for a few more giveaways that fit the gfe mission here soon. 🙂 And don’t forget that your children still have time to enter Rudi’s Happy Camper contest HERE–a week at gluten-free summer camp with all travel expenses paid (up to $1500). The total value of this giveaway package is about $120. There will be one winner, selected by the Pick a Giveaway Winner tool. This giveaway will end Sunday, May 26, at midnight EST. ~ “Like” Rudi’s Gluten-Free Bakery on Facebook. Leave a separate comment saying that you did. ~ “Like” gluten free easily on Facebook. Leave a separate comment saying that you did. ~ Subscribe to my other site, All Gluten-Free Desserts. (Note: There are lots of camping worthy recipes there, like these Graham Crackers. You know what to do with those when camping, right?) Leave a separate comment saying that you did. 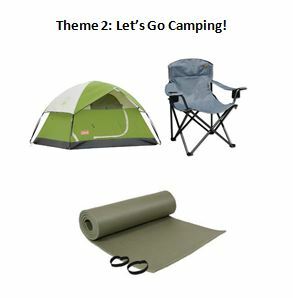 Best of luck to all the campers entering the Rudi’s Gluten-Free Bakery Happy Camper contest and this Let’s Go Camping! contest here! Full disclosure: This post and giveaway are sponsored by Rudi’s Gluten-Free Bakery. However, the opinions expressed are strictly my own. I subscribe to All Gluten-free desserts. My favorite gluten free meal while camping is Smoked Whitefish from a little hole-in-the-wall near our usual campground! Of course I’m subscribed to All Gluten Free Desserts! I’m not much of a camper, but I would like to give this to my dad. The thing that is great about camping is that a lot of fun things can be roasted over the campfire or over coals in an aluminum foil container. I love to bring left over rice and broccoli and heat it up and then roast a spicy polish sausage over the fire and mix them together. I am just getting back into camping now that my kids are older (I just didn’t enjoy it with little ones- it wasn’t relaxing!) Going GF is a bit different, but I find that I eat healthier when I am camping now! I love to camp! What do we love to make while camping? Pudgy Pies! GF bread with chocolate and bananas inside? Yummo. Or, more often (because one can not live on chocolate alone), pizza pudgy pies. Ooo, we LOVE camping and try to go as often as possible. We are dutch oven buffs, so we cook lots of great things, kiddo’s fave is gf hotdogs of course and Rudi’s gf buns! (Rudi’s is his fave gf store bought bread) In the dutch oven we make everything from casseroles, eggs and desserts. Yum! “Like” Rudi’s Gluten-Free Bakery on Facebook. “Like” gluten free easily on Facebook. My favorite camping experience was as a high school senior and I went with a big group of girlfriends to Grand Bend in Canada. We had a blast. I am a subscriber to GFE. I haven’t camped for many, many years however, have some fond memories of the fresh air, great food around the campfire, and the relaxing time. My son is now interested in learning how to camp — so who knows — if I win the tent, perhaps that will be his start! I love camping with my kids and hubby during our holidays. We love spending time close to nature and teach our kids the value of the treasuring and appreciating nature. Sleeping close to the earth ground, learning to fish and toasting it up and munching it down with some mustard and rudi’s bread and some chopped onions have been a family favorite for years! 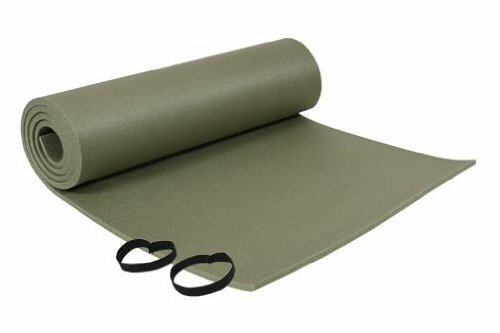 We don’t have any fancy camping stuff – just bed sheets and plastic chairs that we haul in our car everytime. We could really use a good camper set like this to continue our tradition for years – only this time, we will be thinking of you and Rudi whenever we are out camping! Thanks for this wonderful opportunity! I am subscribed to All Gluten-Free Desserts. The only time I have been camping is with my Church. I was not health conscious or gluten free at the time so I didn’t worry about it, but if I were to go now I would definitely take healthier versions of traditional camp food! Thanks for the giveaway! I go camping occasionally. I take gluten-free crackers and mac and cheese with me when I go camping. I go camping about 4 times a year. My family camps once a year and it is amazing. My supportive husband makes GF recipes and we eat like royalty. Grilled lobster for dinner, scrambled eggs for breakfast (and fresh brewed coffee) all cooked over the campfire. My son gets away from the screen, we hike, canoe, talk… I love it. Thanks for all your GF recipes and tips. They’ve helped me so much! I’m an email subscriber to your other site. This looks terrific & someone is going to be one happy camper! Please don’t enter me. I’m a big camper! My son and I go at least a couple times a year and I’ll be taking my first solo trip in the next couple weeks. I HAVE to camp. Being out in the woods energizes me and soothes my soul. I already “like” gfe, and Rudi’s on facebook and I’m subscribed on google. I’m a once a year camper, but my hubby loves it. I could live off gf smores, but we make foil packs with burger, potatoes, and carrots inside. I like your Fb page.Thanks! We eat a lot of meat, eggs, veggies & fruit when camping. Wish we could camp more often! I love Rudis…lied them already liked gluten free easy site and dessert site. Can’t wait to try the things on the pages! We love to camp and would love gluten free ideas! I have been mostly a cabin camper when a kid, but my spouse enjoys camping… so we camped each summer 1-2 times before kids. Last summer we camped in our own yard with the kids. This year maybe the real deal with all 3 kiddos! I try to stick to traditional camping fare like foil dinners, but will toast my GF bread on my designated “GF” stick for my GF only foods. I have liked the Rudi’s facebook page. I also like the GFE page. Love their ideas too! We love cmaping and want to start doing more! I like Rudi’s glutten free bakery on fb! I like to make gluten free smores over the campfire! I really only remember going camping once with my family when I was younger. I was an occasional camper until a few years back when we experienced health complications in our family. With four (growing up quickly) kids, my husband & I have been recently talking about how we need to make some memories camping and have a few plans in the making. Having a sleeping pad would help so much and an extra tent for the teens would be such a blessing. We have recently been roasting hot-dogs on a stick in our bbq and making smores. *GF of course! 🙂 Having been diagnosed with Celiac this last summer, we are up for a new adventure and are always excited to try out new recipes. We have 3 Celiacs and 3 (non) but we all eat GF. Thank you! My favorite gluten-free camping meal is gluten-free peach cobbler that we make over campfire in a cast-iron skillet. Sssssooo good! I liked Rudi’s on Facebook as Elena Vo. I liked GFE on Facebook as Elena Vo. I subscribed to All Gluten-free Desserts via RSS. I must admit I do not camp never been further than my living room in that aspect however the kids really want to go. I do love schars graham crackers so i’d use those for some s`mores. You know you can always put a banana in foil with some marshmallow and choco chips over a fire if you like warm bananas. I have liked all those pages already! Our family loves to go camping and we are looking forward to some summer trips soon! We enjoy gluten free breakfasts of eggs, potatoes, fruit, and bacon. I like Rudi’s facebook page. I love camping! It gets the whole family to unwind and get away from TV, video games, and the computer. Board games, cards, reading together along with hiking, time on the boat, and sitting around the campfire are much better ways to spend our time. I lik you on FB. I subscribed to All GF desserts. Wow! I can’t believe that I won! Thanks so much GFE and Rudi’s!! Looking forward to summer camping and yummy gluten free treats! Thanks again! Hey Jana–Congrats, dear! I’m so happy to be a part of making your summer fun and delicious! 🙂 Enjoy all!